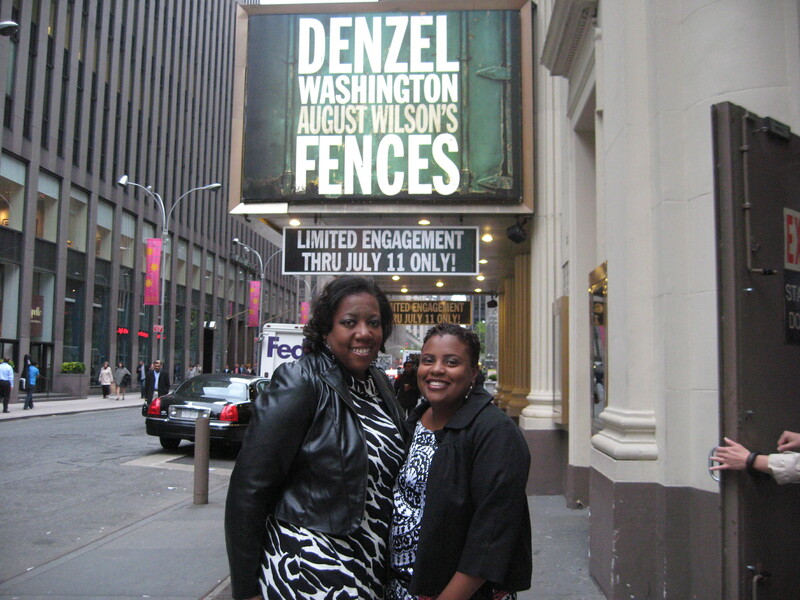 Lisa and April in NY on Broadway to see "Fences"
PWI loves the arts and we especially love BROADWAY! 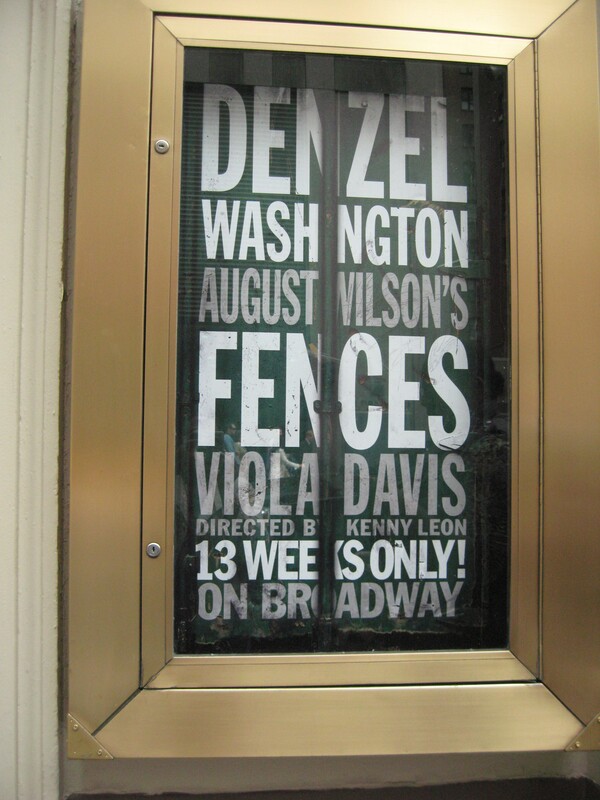 This past weekend, we had the awesome privilege of traveling to New York City to experience August Wilson’s Fences, starring Denzel Washington and Viola Davis. The story, of course, is a literary masterpiece. It was brought to life beautifully by the cast as directed by Kenny Leon. The energy of the theater was charged from beginning to end! We have been fortunate to experience Broadway numerous times and each time, we are simply amazed! This timeless classic was indeed no different. We salute the entire cast and team who has a hand in making the play an ultimate success! Tony Award Winners Denzel Washington and Viola Davis in "Fences"
We encourage you to feed your cultural spirit and plan a trip to the Big Apple! Trust us, you won’t regret it! I agree FENCES was an experience that I will never forget. In face my entire trip to The Big Apple was totally unforgettable. Indulge the ARTS, nothing like a Broadway Play, a great dinner and just the energy of NYC.